By admin | October 16, 2012. 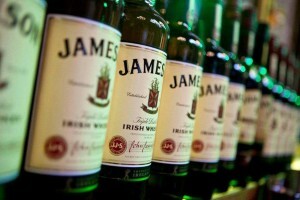 After more than 230 years since it was first distilled, The Liberty explores why Jameson whiskey sales continue to soar. 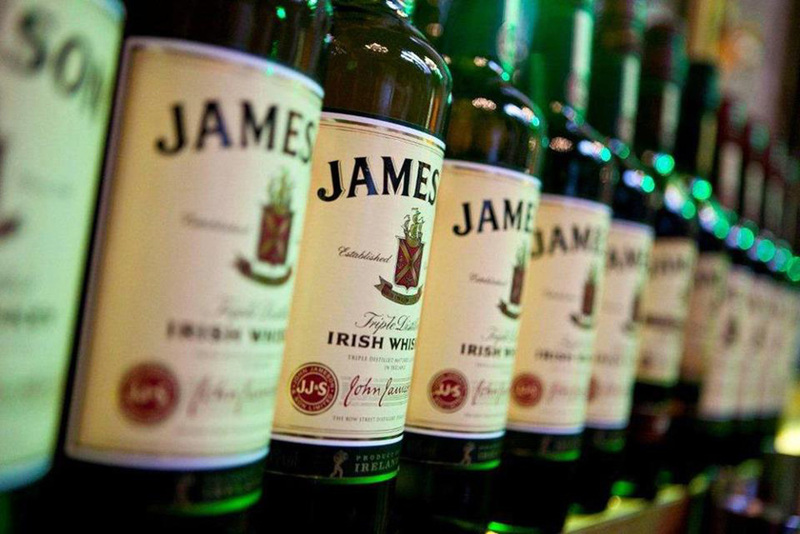 Whether it’s a Jemmie, the Usual, Jimbo on the rocks or a bit o’ Irish Heaven, Jameson whiskey has gallantly earned its place as Ireland’s leading brand since it was first distilled in 1780. John Jameson, was the first whiskey mastermind who combined a unique blend of malted barley with un-malted or “green” barley, distilled in a pot still to create this renowned liquid gold. Since being ranked as the world’s number one whiskey in 1805, Jameson has for the first time ever soared into the top thirty of the world’s best-selling drinks brands. Last year alone Irish Distillers sold 3.4 million cases of Jameson and it is drink giant Pernod Richard’s sixth highest selling product, having made a net profit of €1.2 billion in the year June 2011-2012. Clever marketing may play a role in Jameson’s international success, but strategic product placement can also be taken into account. The whiskey appeared in an episode of the hit crime drama The Wire, which saw the sales rocket in many cities in the U.S.
Jameson Irish whiskey has also inspired global superstar Lady Gaga who described it as her “long-term boyfriend” while speaking to 40,000 fans at the Aviva Stadium in Dublin on the 15th of September. “I have made so much of my music with Jameson. I’m not being paid a cent to advertise the whiskey but I should be. The whiskey has made my new songs,” she said while taking a big swig on stage and passing it on to her frenzied fans. One of the little monsters who joined Gaga on stage did appear a bit too little and was said to be ‘no older than 15’, according to Áine McKenna who was appalled by the display. “I love Gaga and the concert was amazing but it’s a bit concerning when you see whiskey being thrown around on stage without a thought given to the younger fans. There’s a big enough teenage drinking problem as it is, so I thought that it was a bit foolish of Gaga to say that Jameson was her answer for everything”, says Áine (22), Thomas Street, Dublin 8. Other celebrities who are fond of the uisce beatha include international pop sensation P!nk, who wanted to name her first born child after Jameson and Bajan beauty Rihanna, who mentions ‘Jay-mo’ in her hit single “Cheers (Drink to That)”. The Old Jameson Distillery, located on Bow Street, Smithfield Village is often a stop off point for many tourists roaming the Liberties area as it is within comfortable walking distance of the infamous Guinness factory on James Street. Australian tourists Lucas and Elizabeth finished the tour of the Old Distillery and admitted that they do “enjoy a taste of Jameson”, but Elizabeth who prefers Scotch whiskeys said, “when you’re in a foreign country you do as a country does, so I’ll drink it when I’m here”. Enjoying Jameson in the Liberties has proven to be a pastime among tourists rather than the locals, as many publicans in the area have acknowledged. Séamus McPartland of Fallons on Dean Street stated, “Jemmie sales have risen but so have Powers, (whiskey distilled by drinks group Pernod) because it has become more popular in European countries and in the U.S and has attracted more tourists to the Jameson brand”. “Tourists want it because it’s purely an Irish drink, and people are turning more against the mixer drinks and drinking whiskey neat or with ice” said Séamus. Rita Brady has been working in Arthur’s pub since it opened two years ago. She described how Jameson is “quite a good seller” at Arthur’s. “The majority of people who choose Jameson are tourists, not many of our regulars drink it – they prefer a pint. It has a lot to do with the Old Distillery being so close to us,” she explained. The price of Jameson varies in the Liberties with Shanahan’s on Hanover Street boasting a cheap drop of €3.75 while Arthur’s on Thomas Court had a slightly steeper price of €4.20 for their drop of the gold stuff. “Jameson is the most popular whiskey we sell here but I wouldn’t say that the sales have risen”, said Paddy Kenny, a barman at Shanahan’s. “The younger generation aren’t drinking it. It’s the 65’s and over that drink Jameson but gin and vodka are more popular here”. Off licences in the Liberties such as Next Door on Meath Street and Molloy’s on Francis Street both agreed that customers who buy Jameson are either in the older category or are tourists going home wanting a souvenir. Young or old, drinkers at home and abroad still regard Jameson as one of Ireland’s finest home-grown products.